I finally made it to Rodney’s Oyster House to celebrate the restaurant’s second anniversary in Calgary. There were fresh oysters, delicious clam chowder and yummy crab cakes. And you know what tastes great with seafood? Caesars. 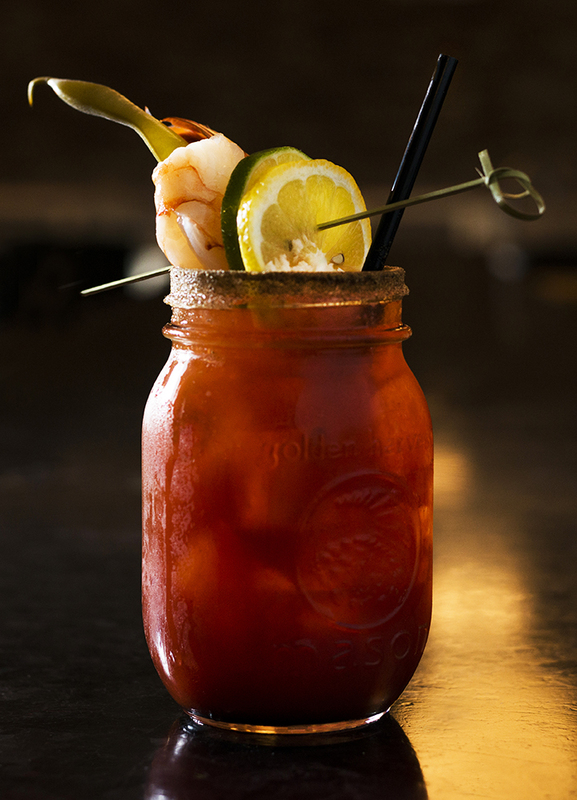 I hadn’t really thought about this before, but drinking a Caesar is basically like adding vodka to shrimp cocktail sauce, pouring in some spices and briny shellfish water, and swallowing it. It sounds kind of gross, but it’s so good! Can we all just agree that the best thing about a Caesar is the meal-like garnish? Image by LOVE BITES Food Photography. Rodney’s Signature Caesar is solid. They use Walter Caesar Mix, which is an all-natural, made-in-Canada alternative to Mott’s Clamato. They also make a nice and spicy Back from Hell sauce that replaces Tabasco. It comes together in a light, refreshing cocktail that’s a perfect accompaniment to raw oysters. 2-3 dashes Back from Hell Sauce (Rodney’s signature hot sauce). Or sub in Tabasco. Garnish: One wild gulf shrimp, one spicy bean, lemon wheel, lime wheel and a pinch of freshly grated horse radish. Method: Rim a small mason jar or rocks glass with celery salt and then build the drink over ice. I’m off to Fernie Alpine Resort for some spring skiing this weekend. I’m looking forward to a huge base of snow, a couple of (hopefully) bluebird days and at least one run off of Polar Peak. 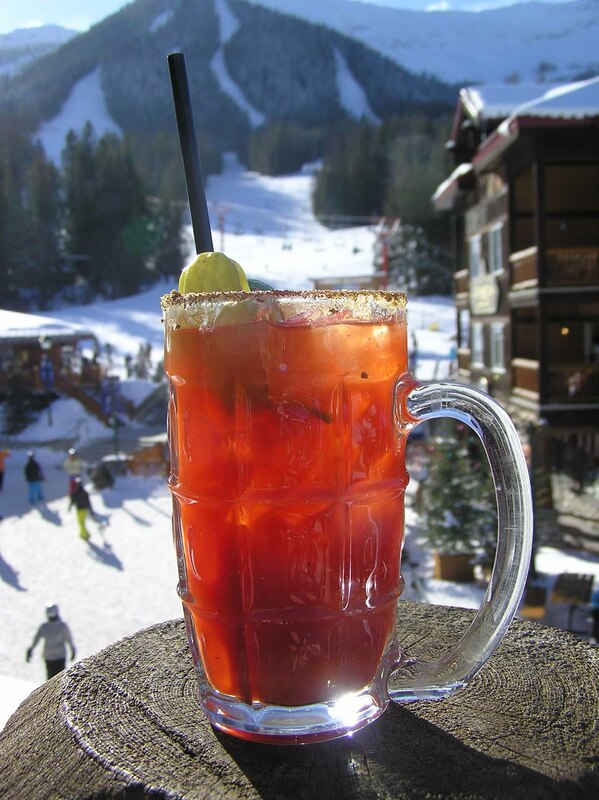 Then I’ll head over to the Griz Bar for some apres-ski drinks including a Griz Bar Caesar. What’s better than apres ski? A Griz Bar Caesar on an outdoor patio on a sunny afternoon apres ski. Two years ago I searched the town for the best apres-ski cocktail. What I discovered is that most skiers drink jugs of Kokanee after a day on the slopes, but the lucky few who find themselves seated at a vinyl booth inside the Griz Bar can quench their thirst — and a desire for a cocktail with some kick — by ordering the Caesar. It’s also the best choice during Griz Days, Fernie’s annual festival that’s on this weekend in honour of the mountain man (Griz) responsible for firing a cannon into the clouds and causing the town’s epic snowfalls. Cheers to Griz, Griz Days and the Griz Bar Caesar! Rim a high ball glass with celery salt. Fill with ice then add vodka, Worcestershire and Tabasco. Top with Clamato, stir and garnish with a pepperoncini pepper. If there’s one cocktail that says Canada — or at least Calgary — it’s the Caesar. The drink was invented in Calgary in 1969 by bartender Walter Chell, who wanted to add a twist to the established Bloody Mary. The game changer? Clamato juice. Caesars are, arguably, an acquired taste. I’ve lived in Calgary now for 15 years and don’t love them. 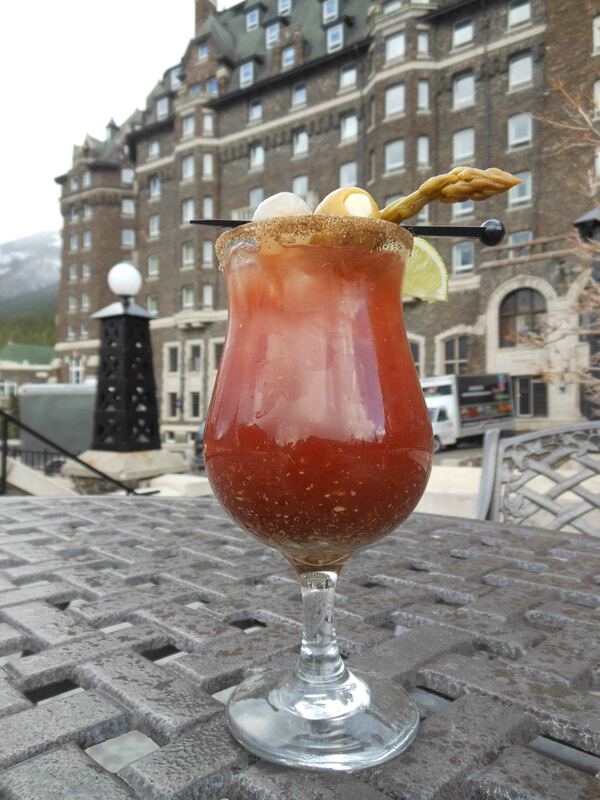 But after trying the Bloody Caesar at the Fairmont Banff Springs hotel last weekend, I think I’m ready to re-explore this relationship. It probably has something to do with the fact they make their own horseradish sauce (you can see little bits of it floating at the bottom of the glass) and add balsamic vinegar — another twist! — but this Caesar is the best I’ve tasted. So, Hail Bloody Caesar! I’m a convert. Rim a hurricane glass with celery salt then pack with ice. Build the drink over ice, stir, garnish and serve. Note: The Fairmont Banff Springs kicks up the garnishes a notch by opting for a lime wedge, speared olive and a pickled asparagus spear. Like!